With a city that was originally planned a railway junction, you’ll find an exciting hub of the South when you fly a private jet charter into and out of Atlanta with JetOptions. The city is a significant economic and cultural center and has undergone many economic revitalization projects. In the downtown core, the newly completed Mercedes-Benz Stadium has replaced the Georgia Dome. This billion-dollar sports and entertainment complex will host the 2019 Super Bowl. Touch down in a private aircraft charter to Atlanta, and you’ll find a humid subtropical climate with hot summers and mild winters. The city has more than 5.7 million residents and is considered the center of the South. Take a private jet charter to Atlanta and fly to your choice of airports. When you fly private your reach goes beyond the main terminals at Hartsfield-Jackson Atlanta International Airport / ATL. If KATL is your preference, there are facilities for private jets including a separate FBO terminal, and U.S. Customs services for private plane passengers. Need to fly an executive jet or corporate jet charter into or from one of the many company headquarters in the Atlanta metro region? The DeKalb Peachtree Airport / PDK is the primary airport for corporate and business jet travel in and out of greater Atlanta and DeKalb County. KPDK has four runways for general and private air traffic, and five fixed base operators (FBOs) to meet the needs of private aircraft. 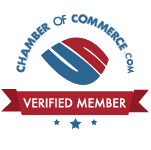 Featuring everything from 24-hour refueling and maintenance, hangar services, U.S. Customs and Border Patrol, full passenger terminal services, and a full complement of ground transportation services. Fulton County-Brown Field Airport FTY / KFTY is located northwest of Atlanta’s city center and is along the ring Interstate 285. There are three runways at KFTY, and there are two fixed base operators on-site for general aviation needs. Cobb County International McCollum Field Airport / KRYY is Northwest of Fulton County airport with one runway and one FBO. Atlanta Regional – Falcon Field/KFFC is in Peachtree City, south of the Metroplex. This exclusively business aviation airfield has a 5,768′ runway and one FBO with 24-hour fueling services. Doctor Martin Luther King was born in Atlanta in 1929. Today, Atlanta is home to the Martin Luther King Jr. National Historic Site and his gravesite. Are you a film and TV fan? These days, when you fly by private plane to Atlanta, you’ll find that the city is the major satellite market for the film and TV industry outside of Los Angeles and New York. You can take a tour of sets found on the popular show The Walking Dead, for example. Covering different seasons and episodes, there are three distinct tour offerings that you can enjoy while on a bus with TV screens so you can watch clips of the show. If you’re the touring type, take an electric car tour of the city and see exciting attractions. 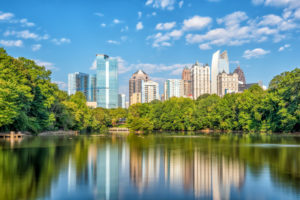 With these small, personalized groups, you’ll explore Midtown where you’ll find some of the most popular restaurants, bars, clubs and hotels, Downtown that has the 23 karat gold dome of the Georgia State Capitol, Old Fourth Ward, and Inman Park. Even more, you’ll see as mentioned, the Martin Luther King Jr. National Historic Site, Georgia Tech, a top research University, World of Coca-Cola Museum and Centennial Olympic Park. While riding with five total passengers, this tour lasts 90 minutes and spans 15 miles. Take an exhilarating Segway tour of the city when you take a private jet charter Atlanta. With only eight people, you’ll have an experienced guide take you around Midtown, learning about its history, architecture, landmarks and recent renaissance. There are an excellent restaurant district and concert venues like the Fox Theater. If you like outdoor areas, visit Piedmont Park, Atlanta Botanical Garden, the Margaret Mitchell House, Georgia Tech and the Federal Reserve Bank of Atlanta. If you’re a fan of architecture, you’re in for a treat when you view the homes of Ansley Park that include Tudor, Craftsman, and Italian Renaissance style homes. The city has extensive walking and biking paths, event space, picnic areas, and playgrounds. Fly a private jet charter to Atlanta with JetOptions Private Jets, Call Us for a custom quote, or email our Charter Team today!